Chainsaws growl and woodchips fly during the thrilling challenges in this action packed zone. 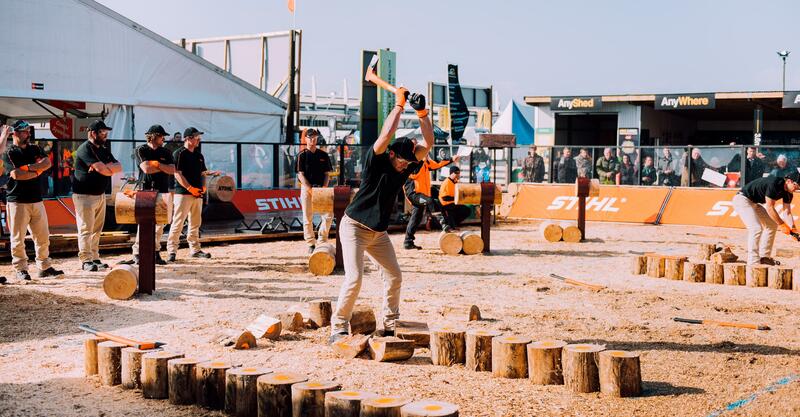 Coordinated by the expert team at STIHL, the Festival of Logging is an array of timber sport activities to capture everyone’s attention. Take a seat in the grandstand and enjoy the excellent view of the action. Then 10 minutes later, the athlete must complete the process again. The athlete with the fastest combined times wins the right to represent and the trip to Europe. This year it is in Marseilles, France. Friday is TIMBERSPORTS® trials day. This globally popular sport is a display of power, precision and technique. 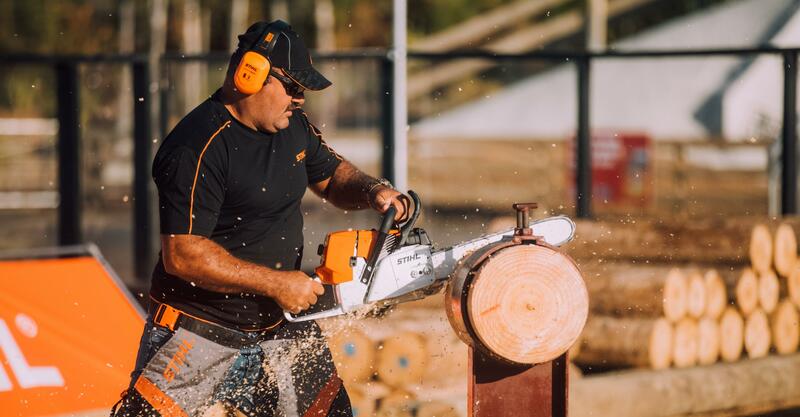 Elite athletes will compete to determine their position in the team to represent New Zealand at the 2018 STIHL TIMBERSPORTS® World Championships in Liverpool, England. And an additional two international disciplines (Springboard Chop and Hotsaw) to determine the Individual representative. On Saturday loggers from around New Zealand will compete against each other and the clock in multiple Loggersports events. The challenge is for the teams and individuals to match-race and prove their ability, speed and skill. This chainsaw challenge is technique oriented and only the most skilled will win.